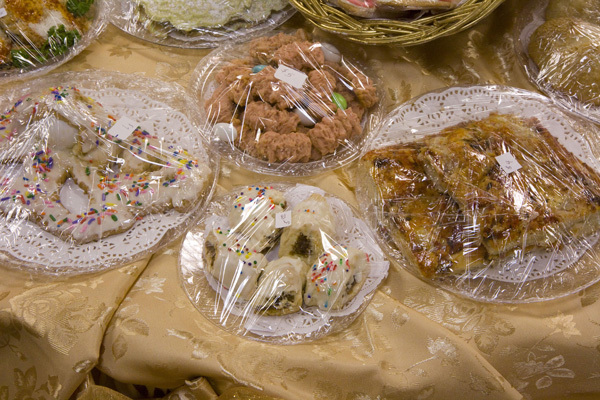 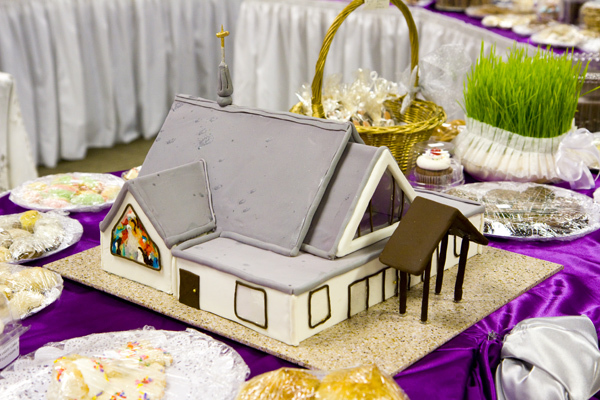 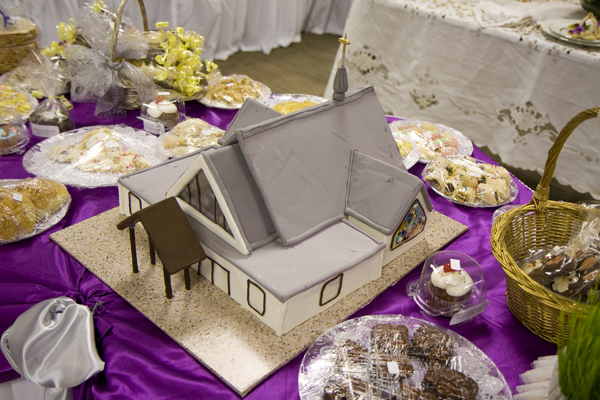 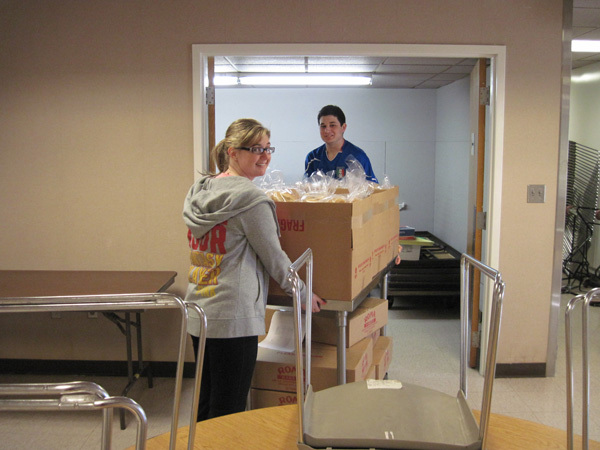 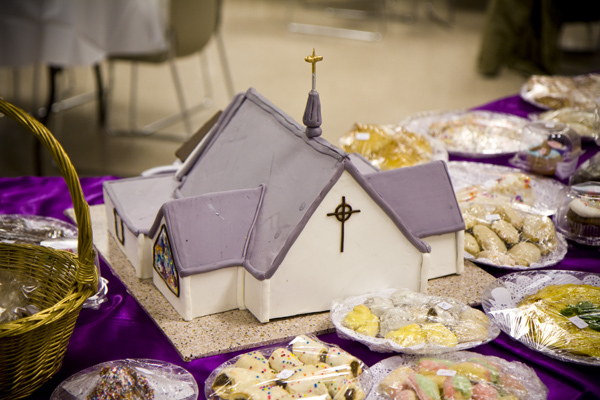 March 15th Wednesday and March 16th Thursday Parishioners please deliver cookies, cakes and your favorite food items for the main table. 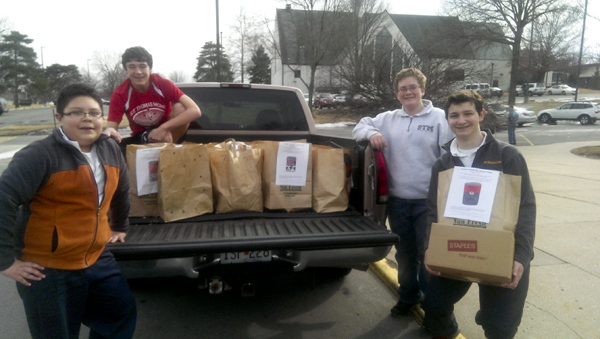 March 15th Wednesday Vegetables for the fratatas will be delivered. 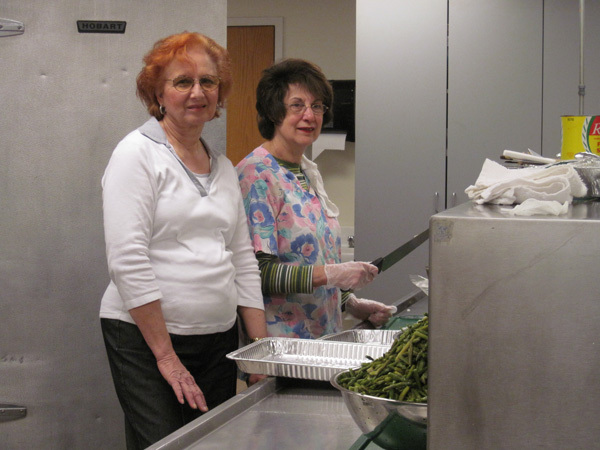 March 16th Thursday Cleaning vegetables. 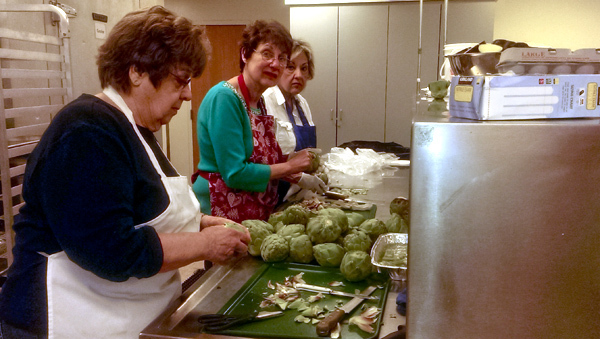 March 17th Friday par boil vegetables for Fratatas. 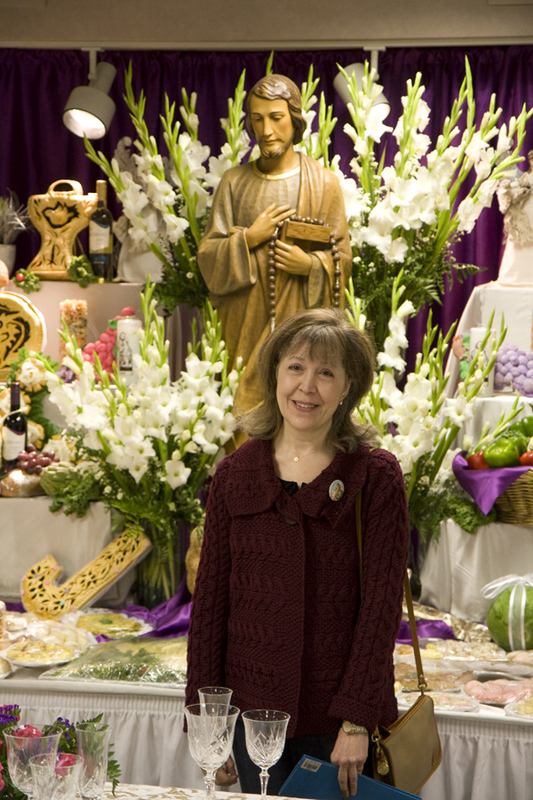 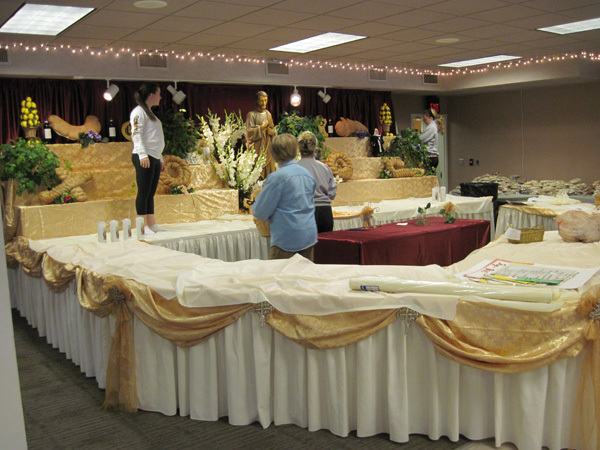 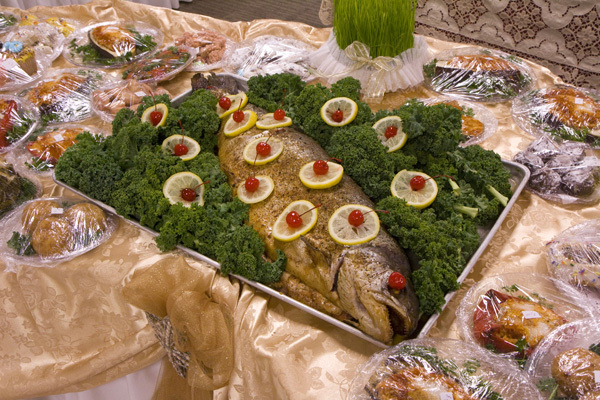 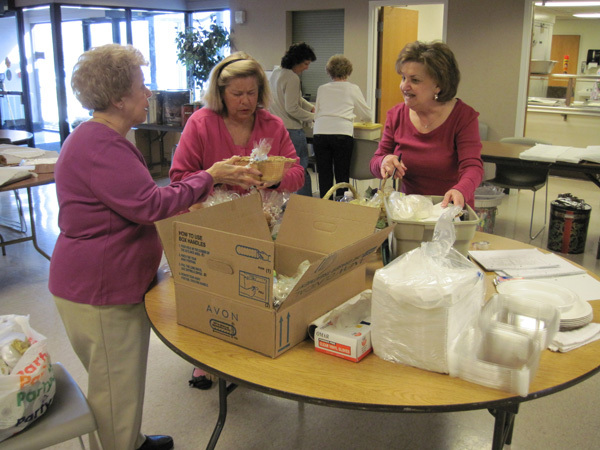 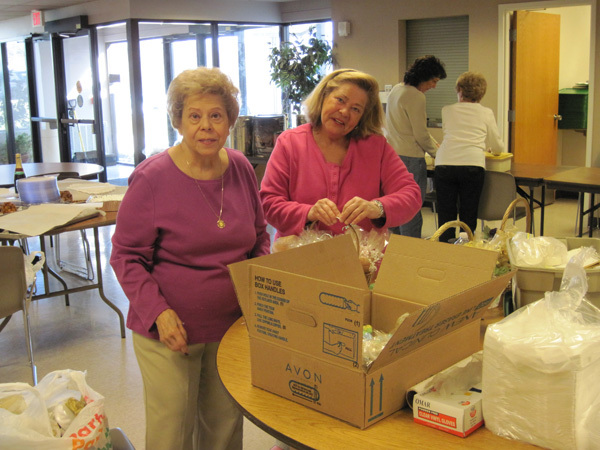 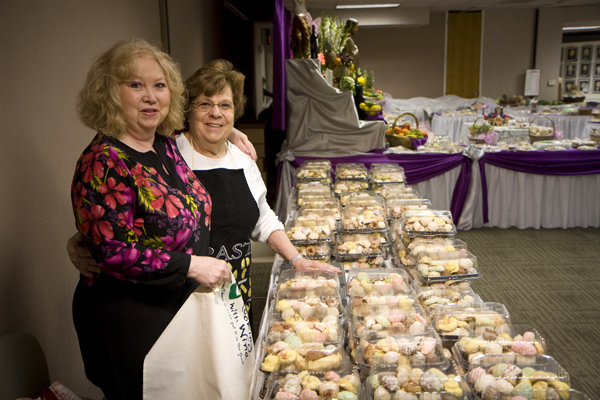 March 18th Saturday prepare fratatas and other vegetable items for the Main Table. 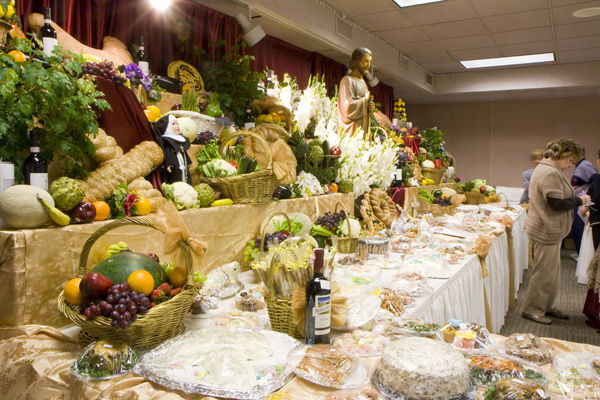 The table will be blessed after the 9:30am Mass. 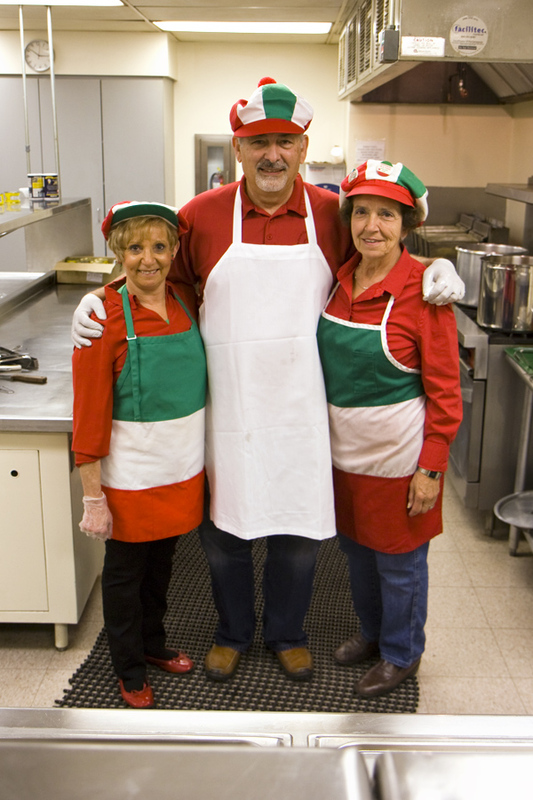 Pasta Milanese will be served from 11am to 7pm in More Hall. 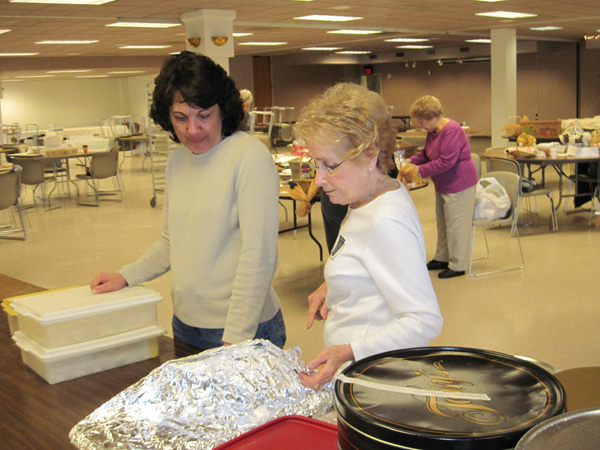 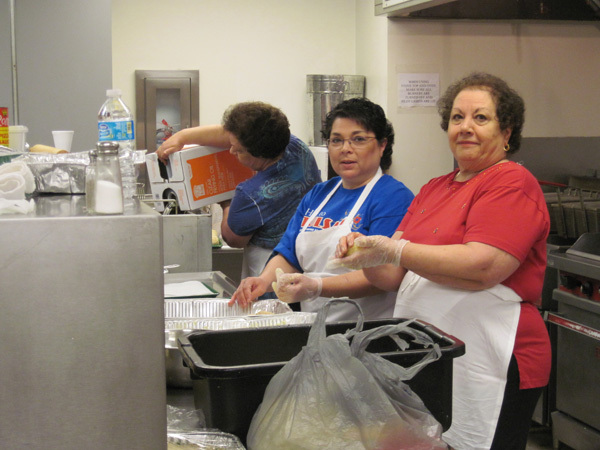 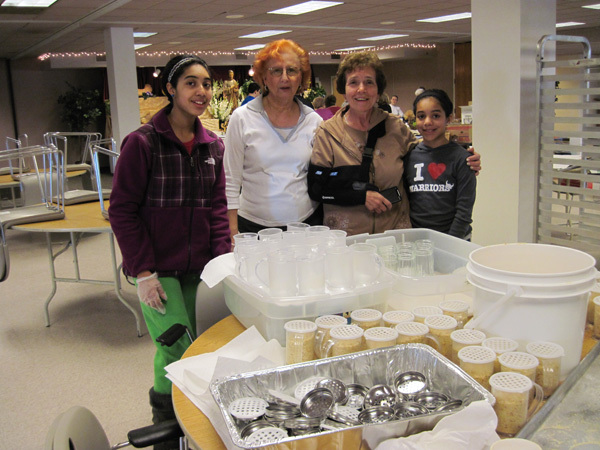 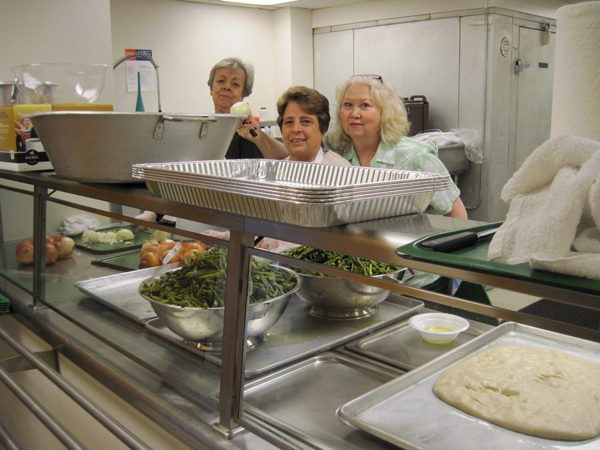 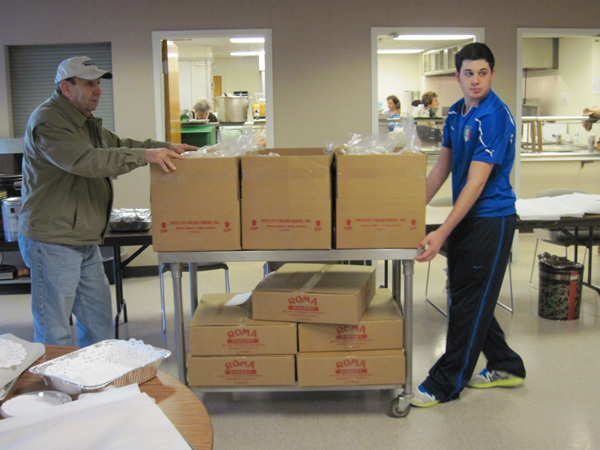 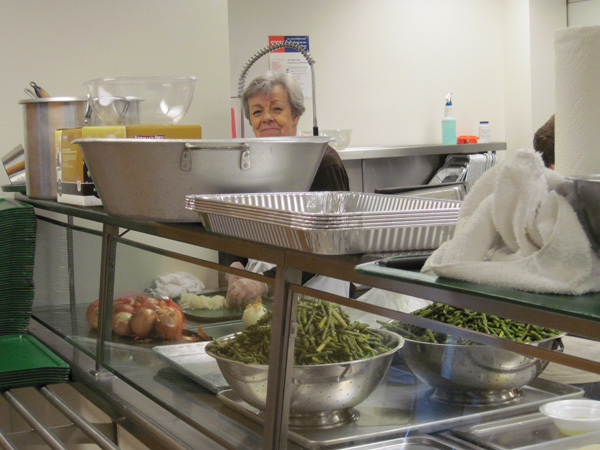 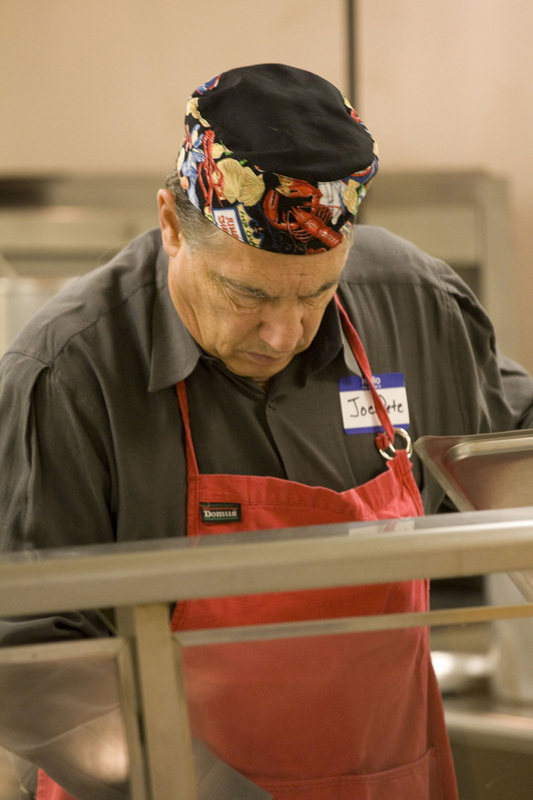 A free will donation is requested for the meal, with all proceeds distributed to those in need. 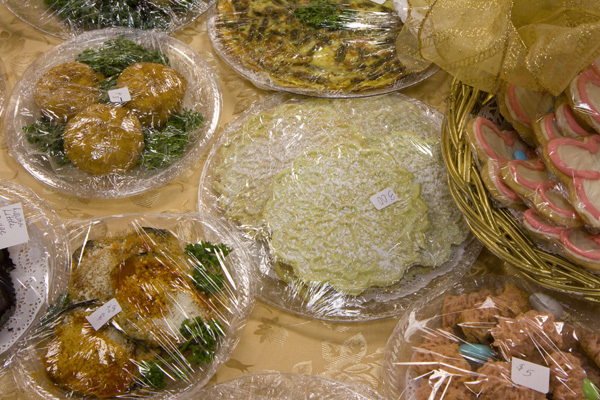 Available for purchase will be delicious Italian dessert specialties: cannolis, cookies, bread, cakes, and other food items. 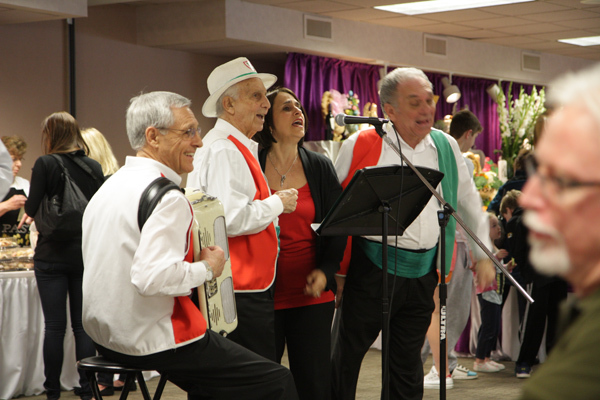 Come hear the music during lunch, bring your families, and experience an evening of visiting with the community. 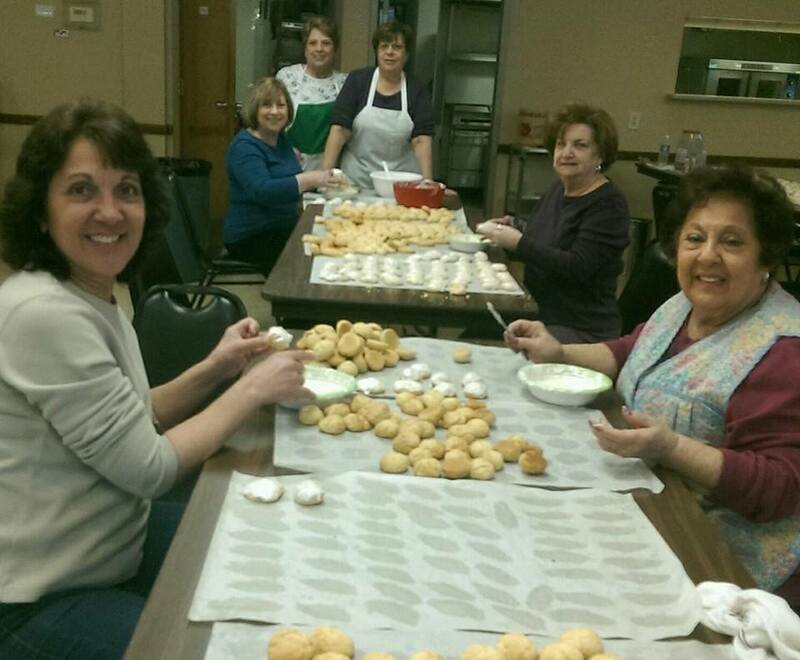 If you have questions, contact Angie DiFidi 816-942-5205. 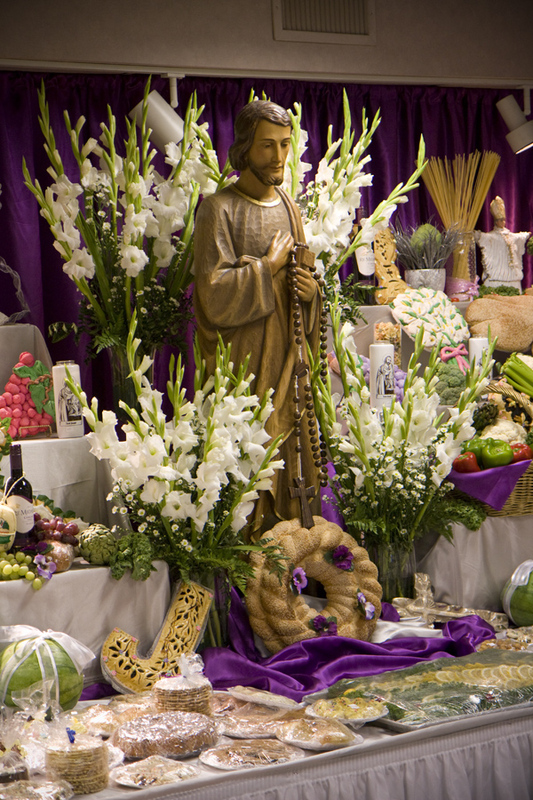 Throughout the Catholic Church, Saint Joseph has always been regarded as the family protector. 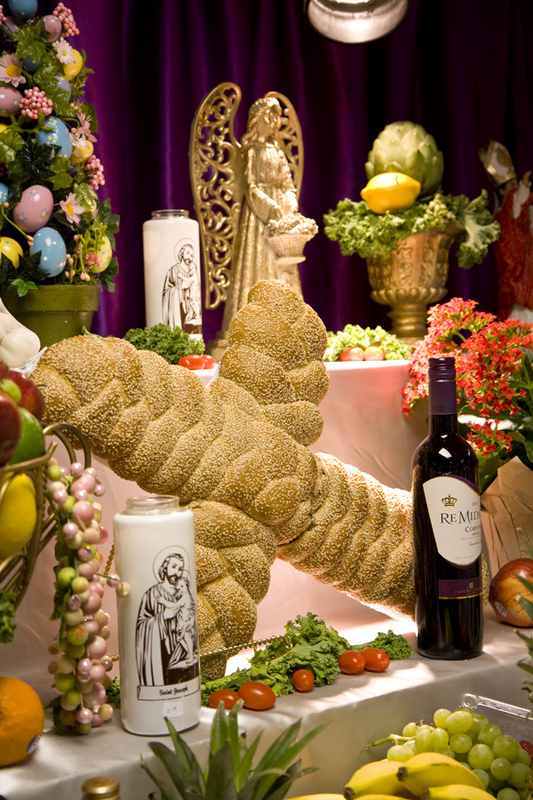 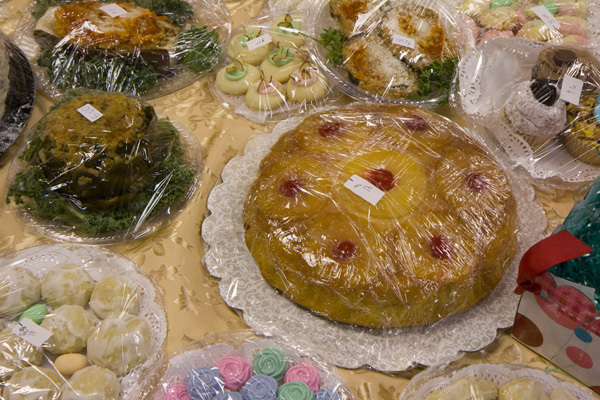 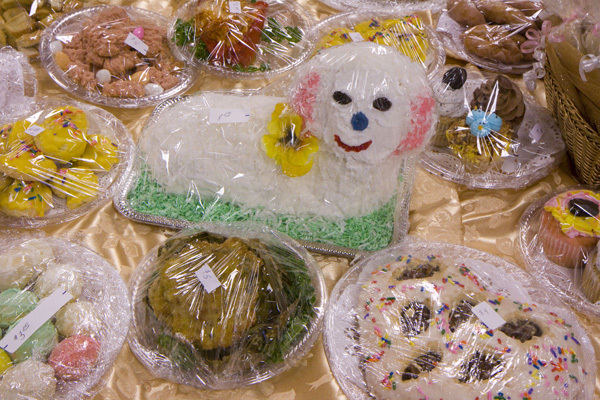 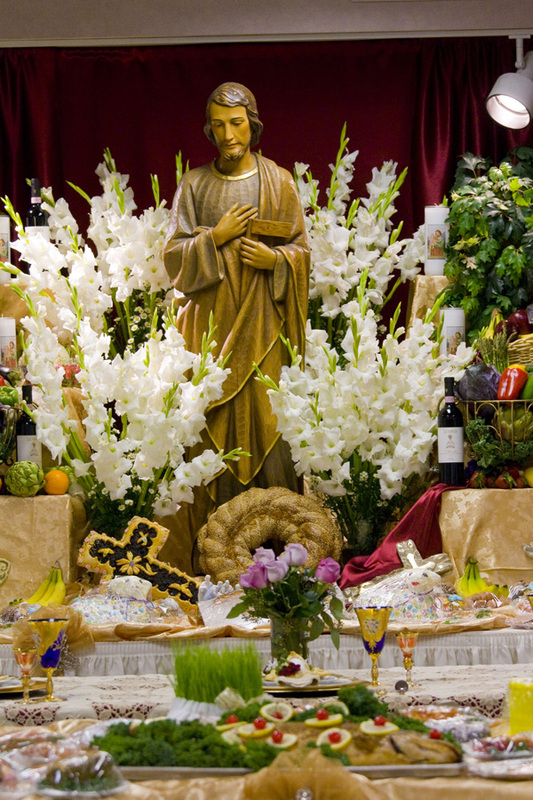 Although other cultures observe Saint Joseph’s Day, the Sicilian version is the most elaborate. 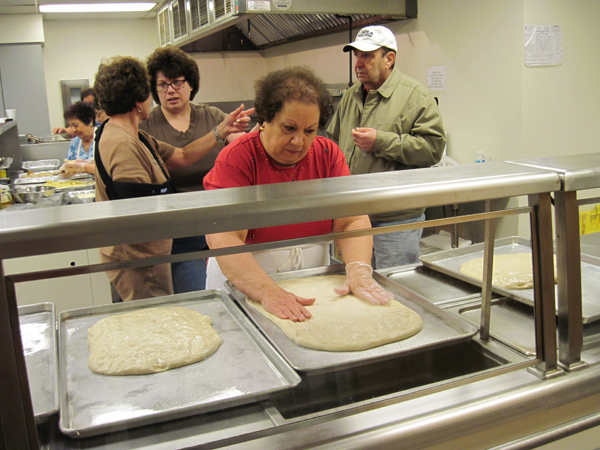 Several centuries ago, a severe famine in Sicily caused considerable suffering and starvation. 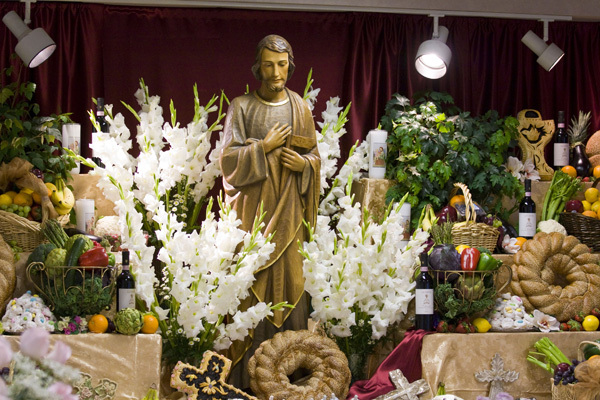 The peasant farmers turned in prayer to Saint Joseph for help. 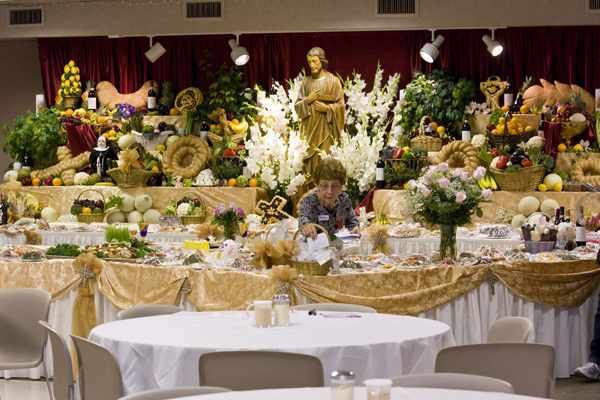 The famine soon ended and, in gratitude, the farmers honored Saint Joseph by covering an altar with their most prized possession: food. 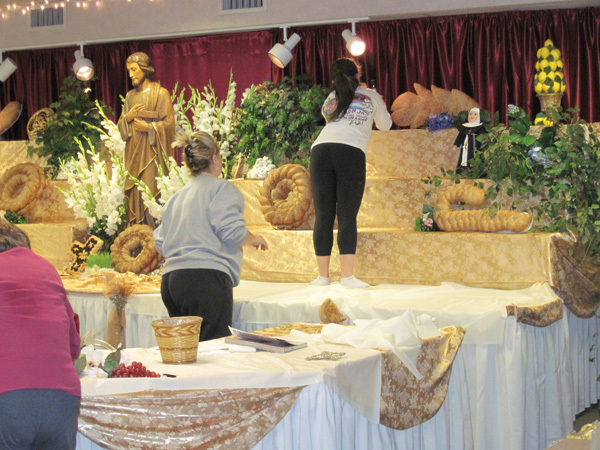 Saint Joseph altars evolved into family open houses, offered in gratitude for special prayers that had been answered. 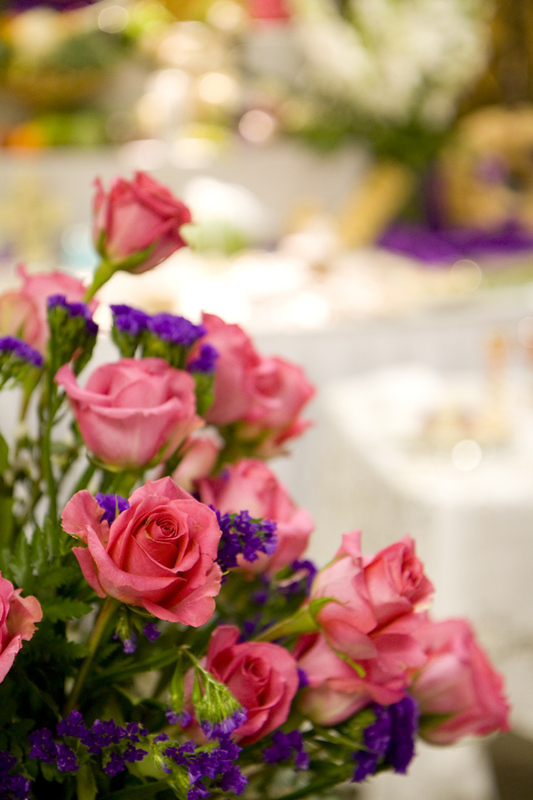 Today it is also used as a petition for favors, and for family and loved ones. 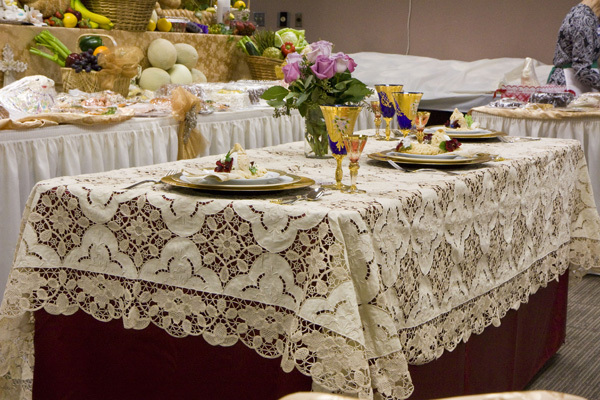 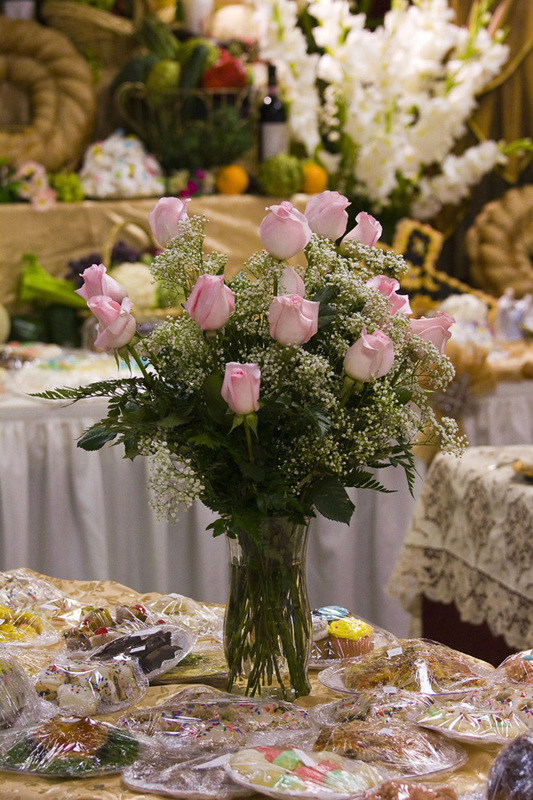 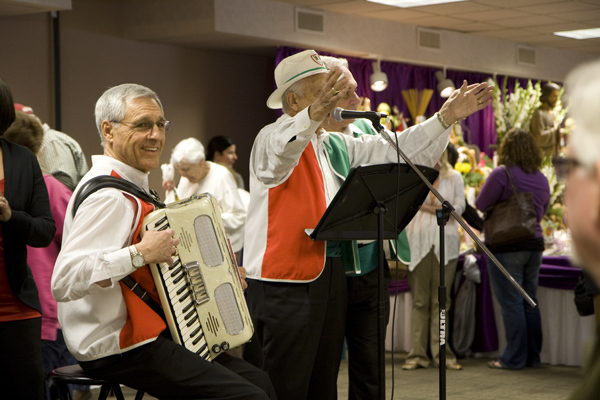 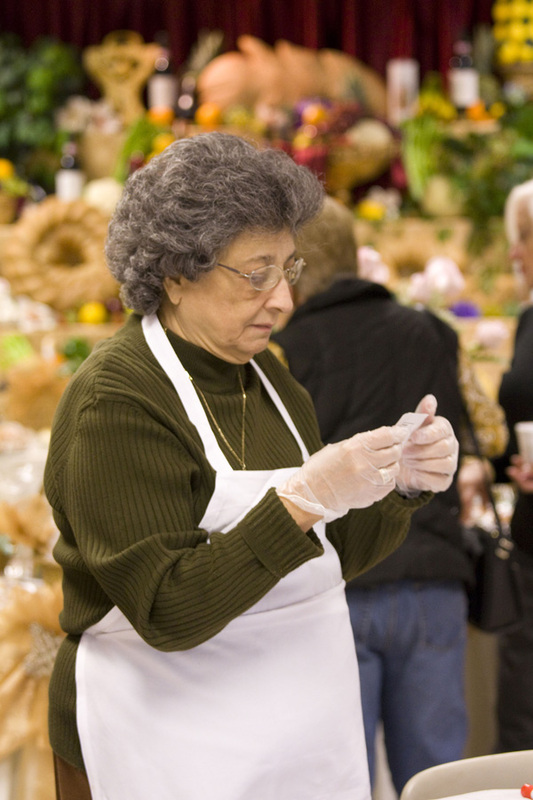 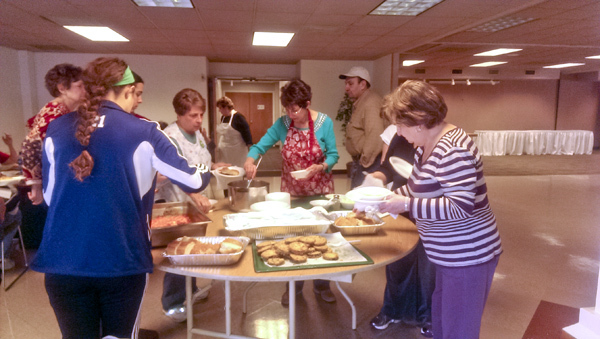 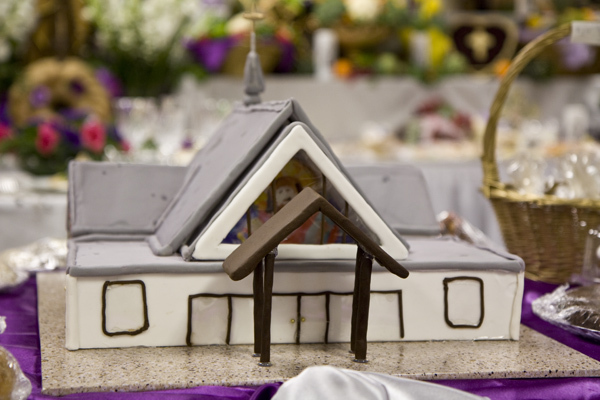 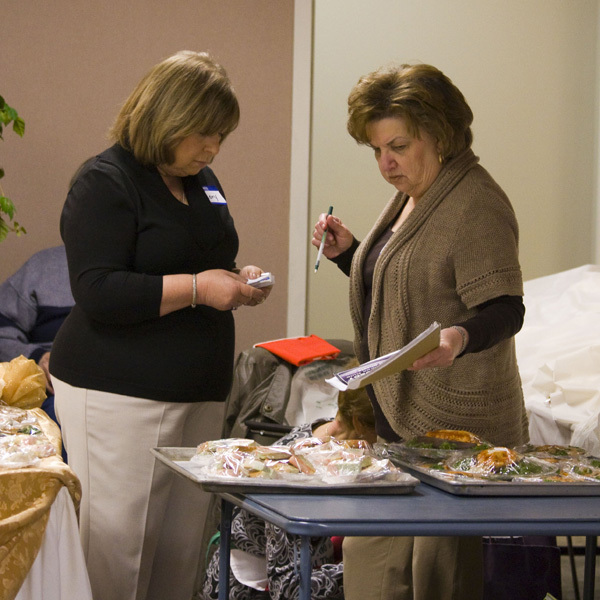 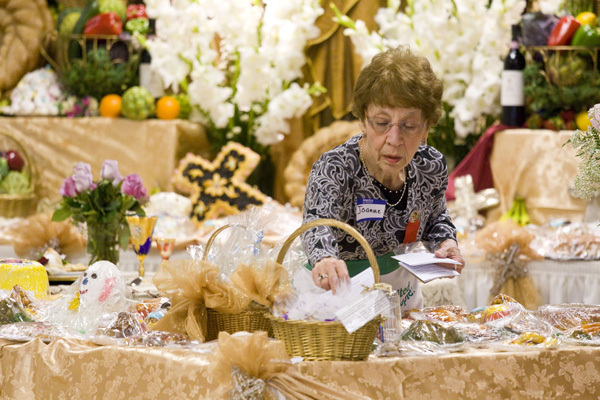 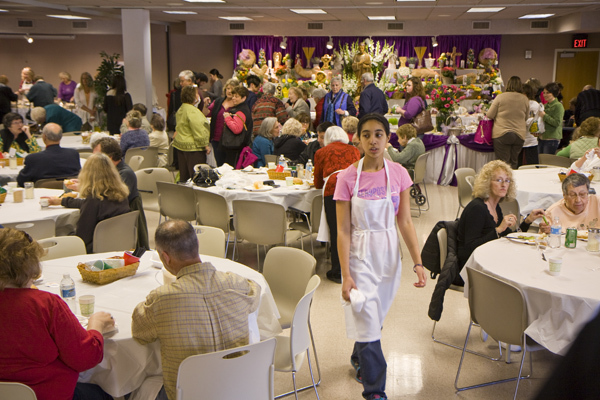 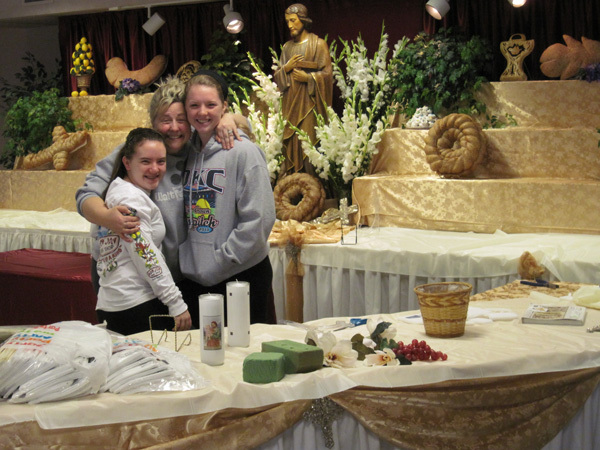 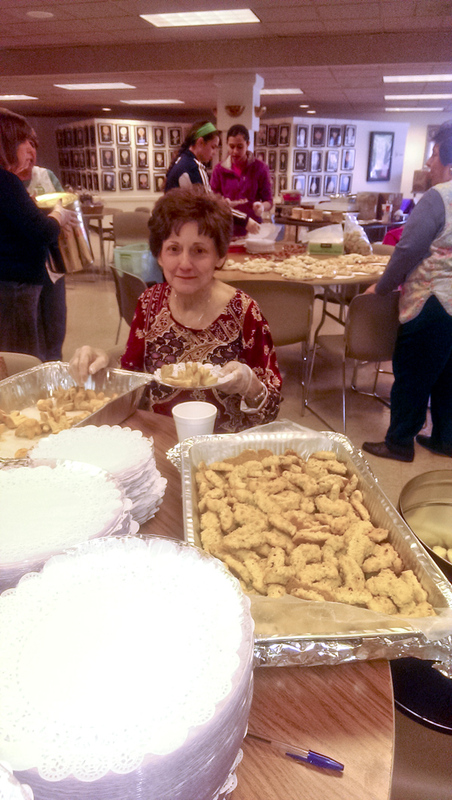 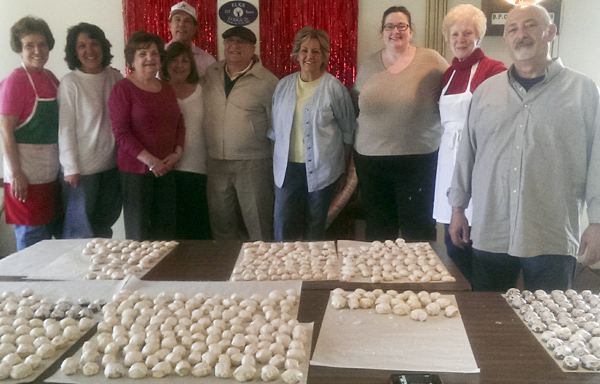 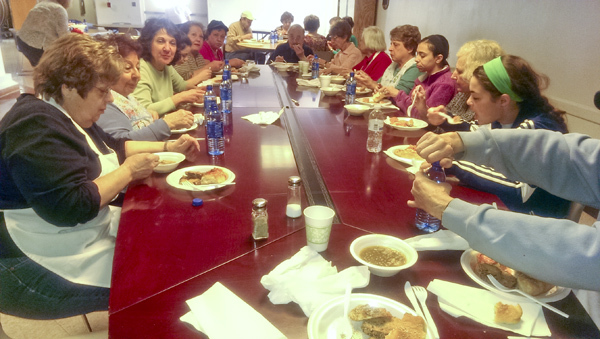 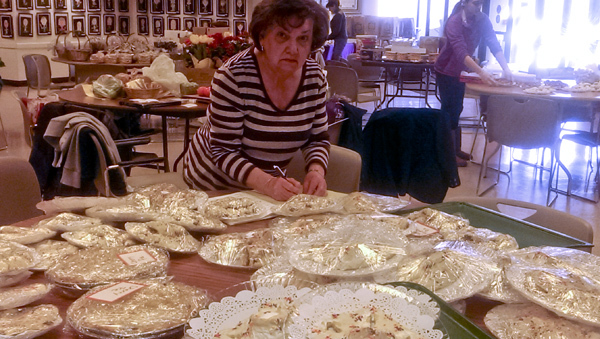 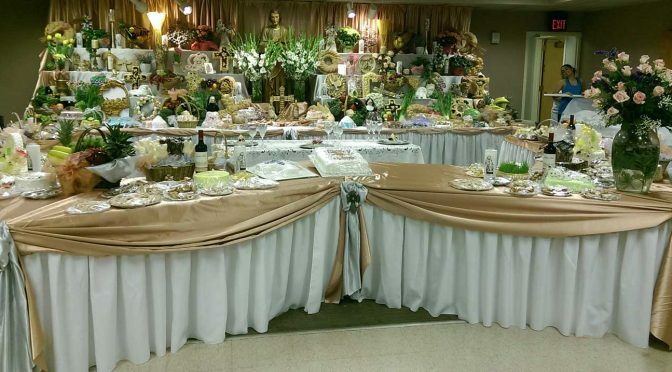 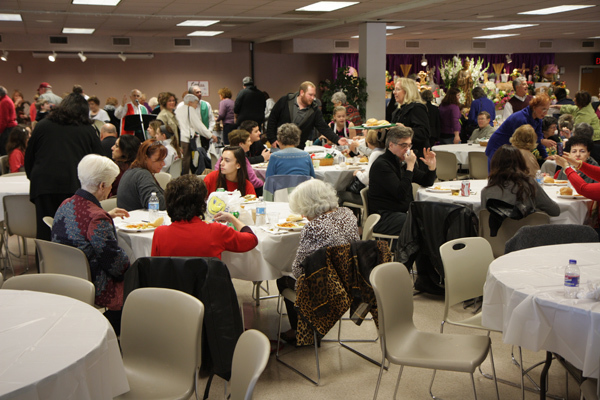 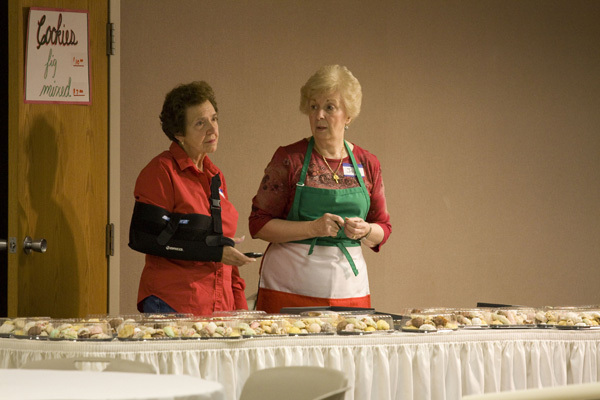 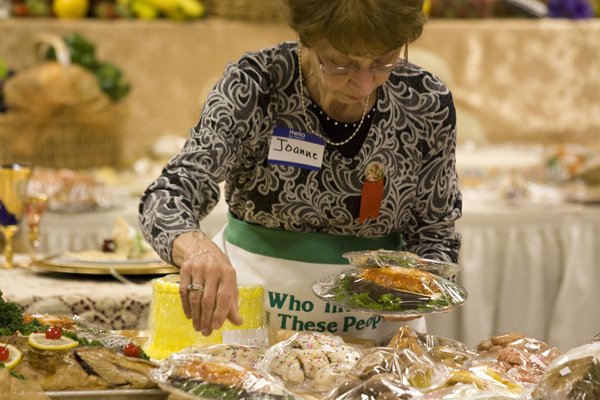 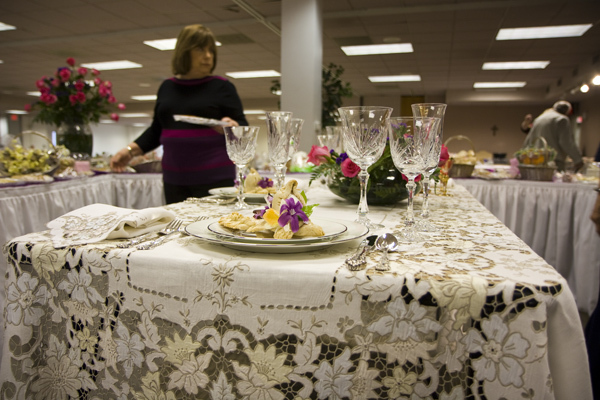 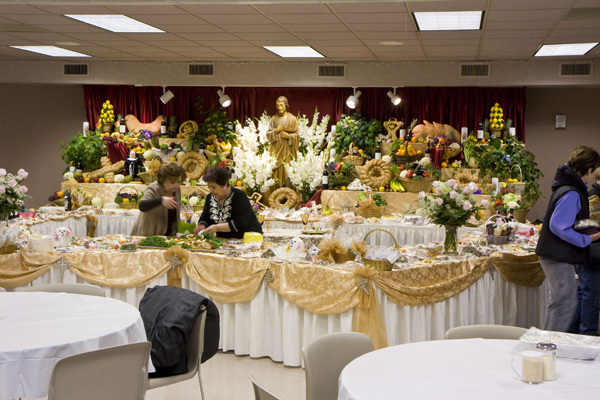 In an effort to keep the tradition alive, and because of the geographical changes in the Italian community, most tables are prepared and planned by the “church family,” led by those of Italian heritage. 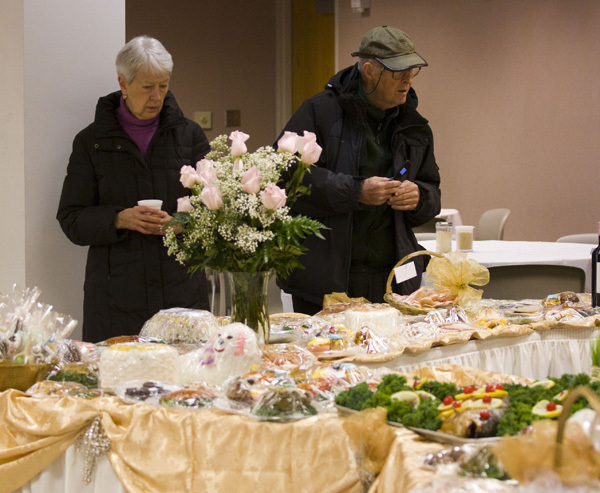 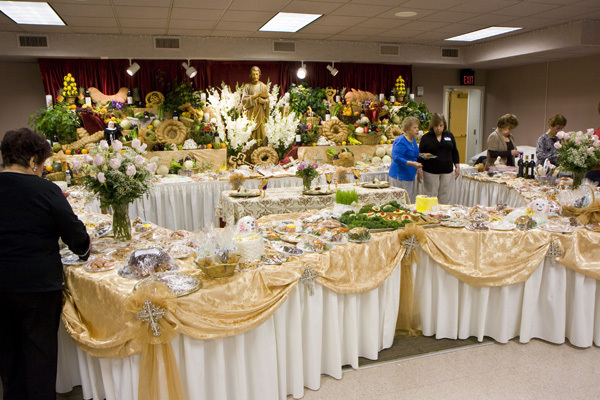 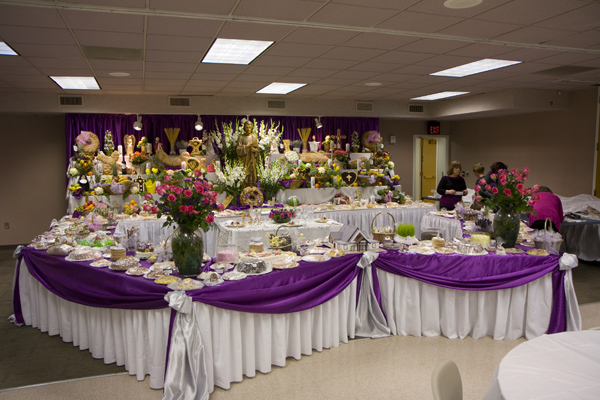 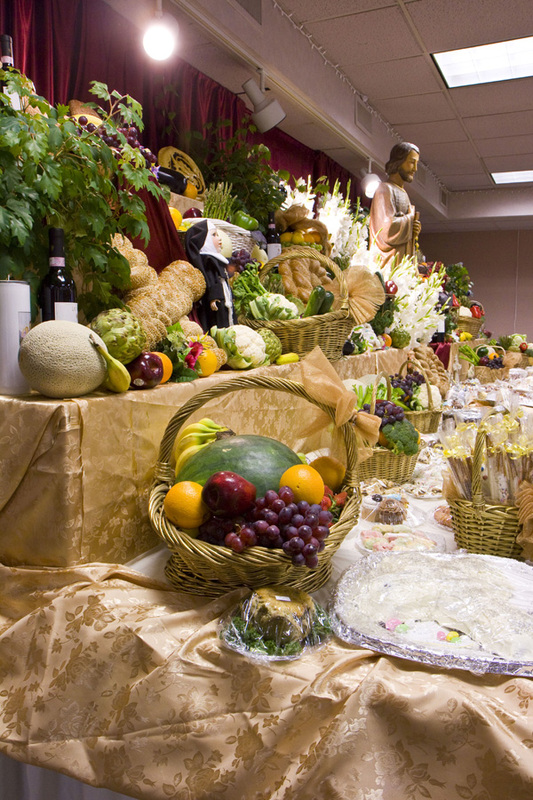 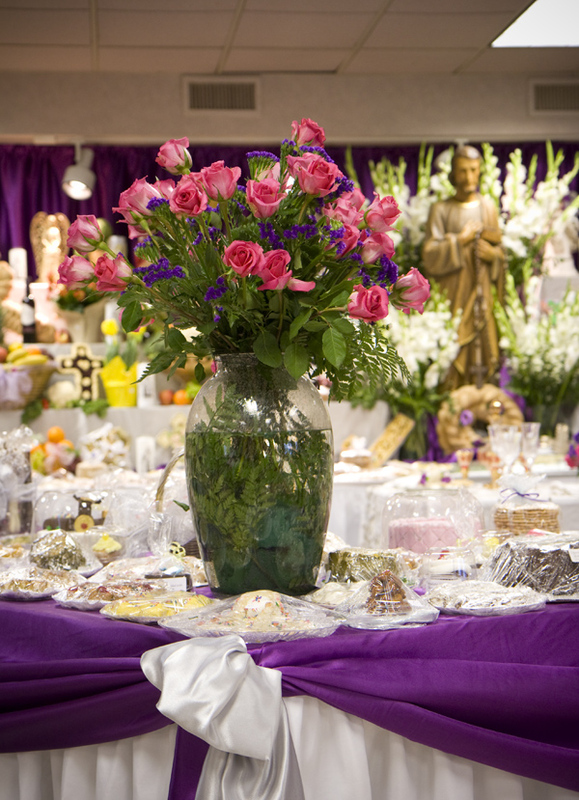 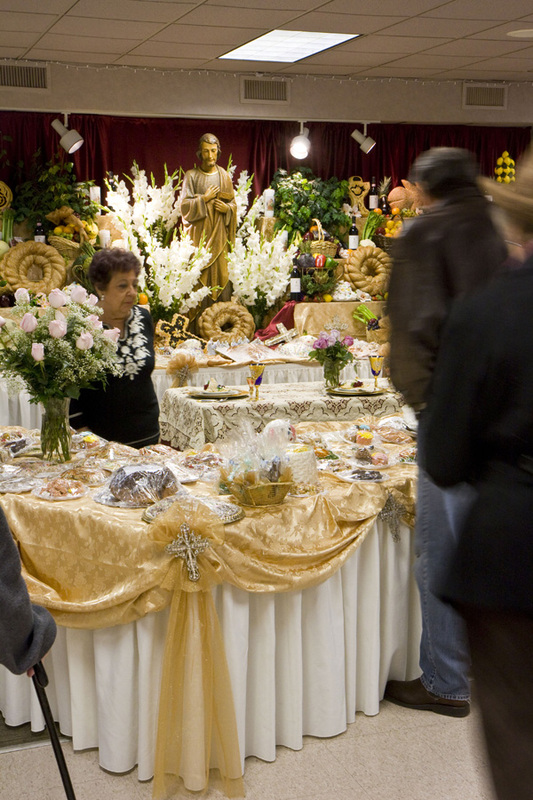 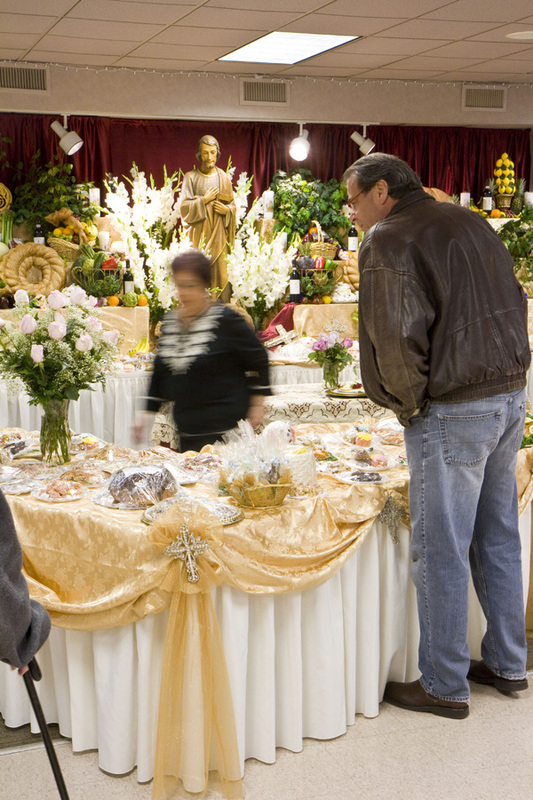 The food placed on the Saint Joseph Table and served to guests has always been meatless because Saint Joseph’s Day always falls within Lent. 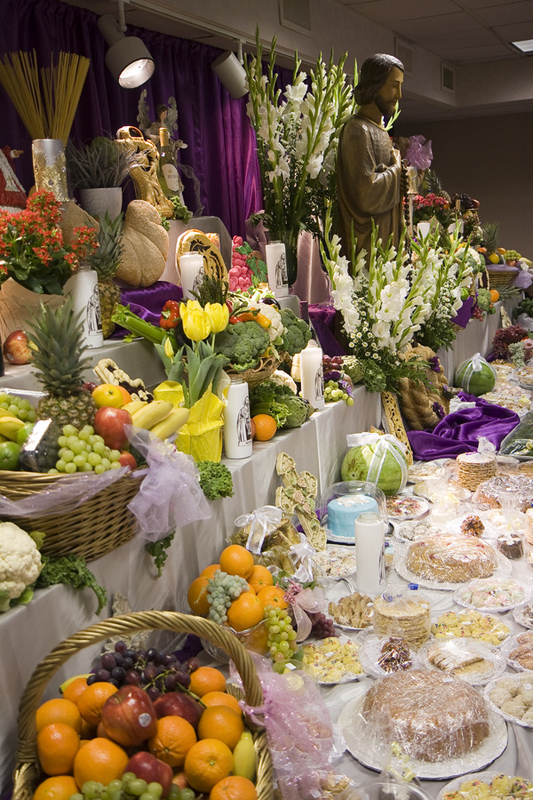 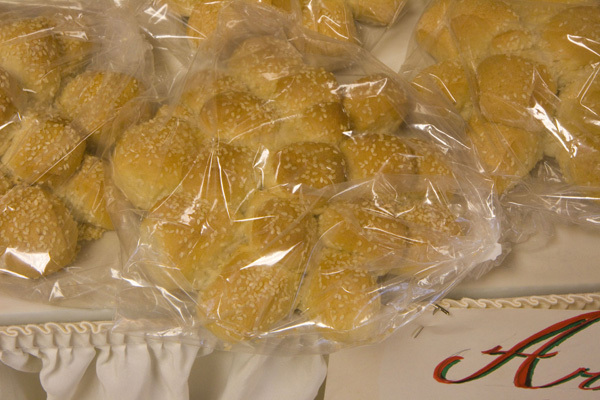 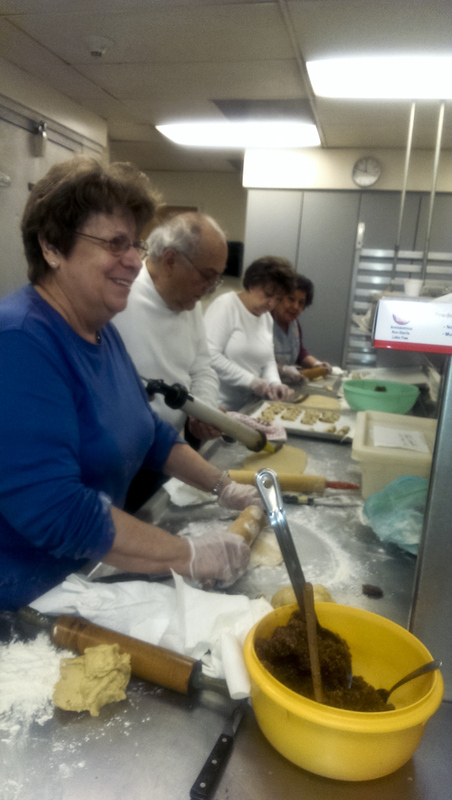 (It is always held on Saint Joseph’s feast day, March 19) The majority of the dishes are prepared with grain products in keeping with the original donations of those Sicilian farmers. 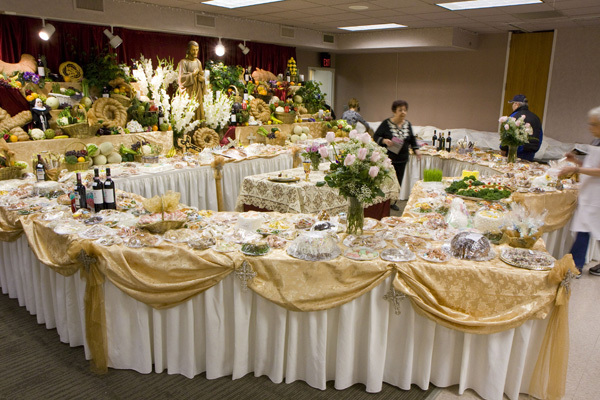 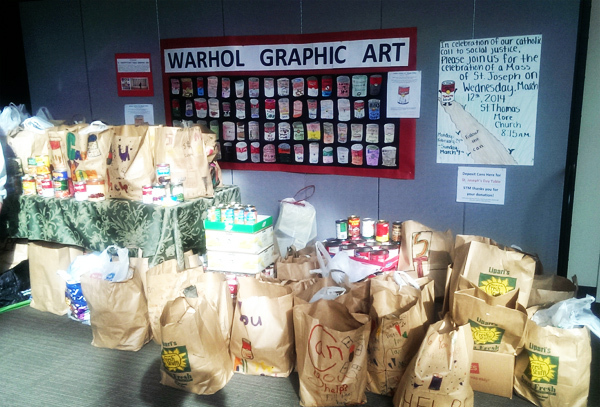 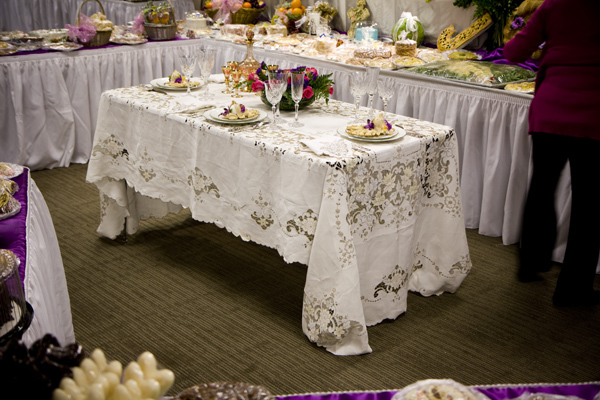 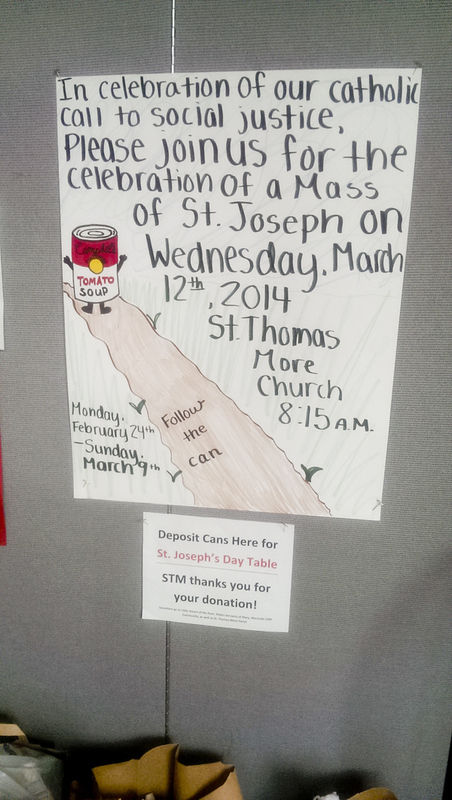 All proceeds from the Table are given to the poor and needy.